The Great Storm of 1987 was for the majority of people, a complete surprise. At its peak, it raged continuously for three to four hours, reached gusts of 110mph, caused the tragic death of 18 people and uprooted a staggering 15 million trees. The timing of the storm helped to minimise the number of human casualties as it occurred overnight rather than during daylight hours. A significant rise in temperature was seen as a result of the storm’s warm front passing over; during the storm, the wind changed direction throughout the period (southerly to south-westerly) and evidence afterwards suggests that whirlwinds were also present. Many woodlands in the south east lost 95% of their trees; this loss was exacerbated by wet soils prior to the storm. 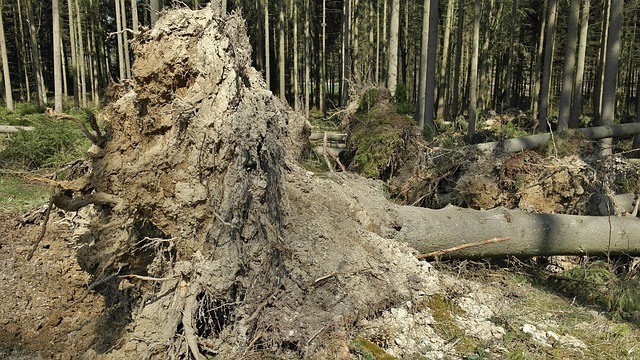 Trees were literally torn up by the roots and flung onto the ground; the effect was catastrophic, fundamentally altering the affected landscapes, with the repercussions still being seen today. In the aftermath, initial reactions saw land managers diving in with chainsaws and diggers in an effort to remove the fallen trees. But this approach often led to further destruction and devastation through compaction of the sodden soils, leading to erosion and degraded conditions for regeneration, and the loss of what could have been ecologically valuable deadwood habitat. The removal of trees also took away the potential for natural regeneration, which could have been achieved if they had been left in situ. However, in many cases, due to the enormous scale of the tree loss, the decision was made to leave timber where it lay and to allow woodlands and forests to heal themselves as they saw fit. What was once seen as a tragedy, is now seen as the instigator of beneficial changes in biodiversity and management approaches, and an increased understanding that death and decay is part of nature’s strategy of regeneration and life. This has resulted in healthier habitats and greater mosaics of species and structure. 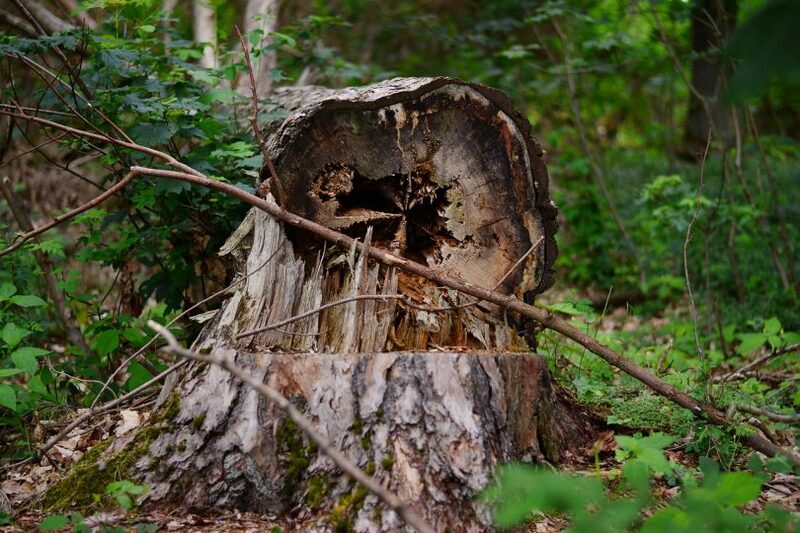 Spaces created by the fallen trees allowed dormant seeds an opportunity to grow. The regeneration of woodland has in many cases, led to a greater diversity of species – e.g. fungi and invertebrates, in addition to an increase in botanical structure and species diversity. It has led to the reintroduction of more suitable broadleaved native species being planted, such as oak and maple, rather than shallow rooted pines and firs. As the woodland canopies were opened up, species of fauna such as birds of prey were able to benefit due to their prey being made more accessible. The storm led to changes in management in terms of the age of trees being planted. Previously, many woodlands and forests were comprised of trees of a similar age, decreasing their resilience and sustainability; nowadays, a mixture of ages is promoted, in addition to the inclusion of shelter-belts, which are used as buffers to disperse and filter storm activity. 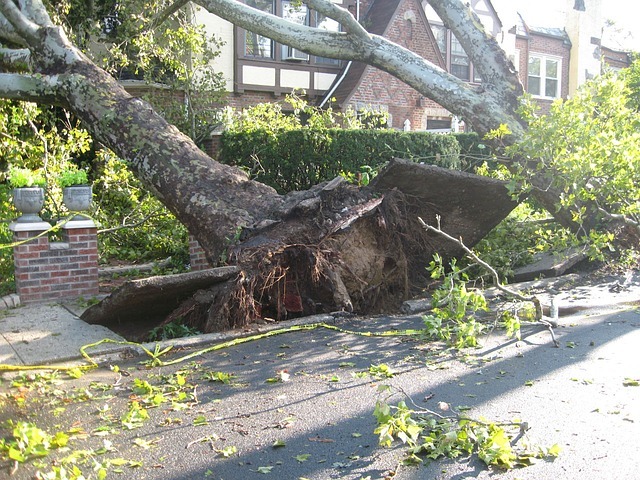 The after effects of the storm, highlighted how precious trees are to many people on a personal level, this prompted the planting of more trees than ever before. Perhaps most importantly, the storm led to the fundamental realisation that nature is more than capable of recreating itself without man-made interference. This more relaxed way of management is often implemented in today’s forestry, and was to a greater extent, born out of the Great Storm event. Toy’s Hill comprises a 93 acre woodland, which is located at the highest point in Kent. It lies within Scord’s Wood and Brockhoult Mount Site of Special Scientific Interest (SSSI). Prior to the storm, the area comprised ancient woodland and remnant heath. The storm resulted in a loss of 98% of the trees – around 90% of those lost were beech. The effects were seen as a rare opportunity to study natural regeneration; therefore, a variety of approaches were implemented afterwards at Toy’s Hill – some of the areas were cleared and left to regenerate naturally, other areas were replanted following clearance, some areas were carefully cleared with a view to manage these areas as heathland habitat and a final strategy was to leave another section entirely to its own devices. Unsurprisingly, the deepest soils were found within areas where post-storm disturbance has been kept to a minimum; in these areas a good depth of leaf litter and humus was present. The shallowest soils were found in those areas where clearance had occurred. Machine clearance led to compaction and erosion, leaving the mineral layer exposed in many places. Vegetation struggled to colonise these areas. Birch seedlings (Betula pendula and Betula pubescens) were the first trees to naturally colonise cleared areas, whilst the areas of non-intervention saw a much lower density of seedlings germinating; this is likely due to shading of deadwood and the dense leaf litter. Betula pendula was the most dominant of the birch species, with a higher growth rate and more efficient seed mobility. The number of beech seedlings was found to be similar across all of the areas, whilst the highest proportion of oak seedlings (Quercus petraea and Quercus robur) were found to be present in areas of remnant heathland. Oak and beech regeneration was found to be most successful where the soil profile had been left intact, thereby preserving the seedbed. Bramble understorey colonised rapidly across all of the areas regardless of management, as a result of the increased light availability. Rosebay willow-herb colonised bare ground and areas around the roots of fallen trees. Areas disturbed by machinery were colonised by grasses. Other species that took advantage of the disruption include native clematis, honeysuckle and heather (unseen in the area for more than a century). The National Trust also report that birds and dormice have benefited in the aftermath. The woodlark and nightjar population have increased, and little owls, tawny owls, buzzards, hobbies and sparrowhawks have exploited the more open woodland. Whilst birch dominated the cleared areas, where the vegetation was established, oak, which has the advantage of a long tap root, was able to compete successfully. The extent to which the areas were cleared has an effect on the vegetation type that occupies the new woodland area, influencing diversity and type of species generated. Studies at Toy’s Hill have concluded that whilst the initial impact of the storm was one of destruction, it is likely that many of the trees that were there before the storm, were old and beyond their peak reproduction age, furthermore, the dense canopy precluded the growth of seedlings; the storm therefore, presented the opportunity for germination. In addition, it has been identified that more harm than good may have been done in the areas where regeneration was actively managed through clearance in efforts to speed it up – birch colonisation is more extensive in these areas than it might have been if the intervention had been lighter. The Management of Storm Damaged Woodland at Toy’s Hill, Kent. G. King, undated.